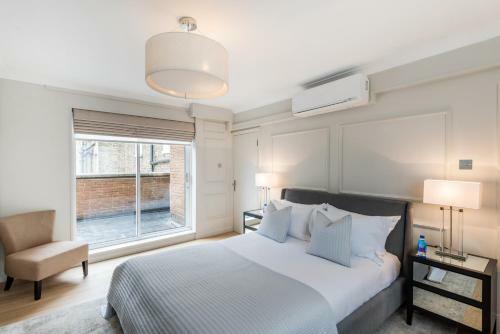 Bed and Breakfast 35 Hyde Park Gate By B&L in London is a B&B with 6 Rooms. 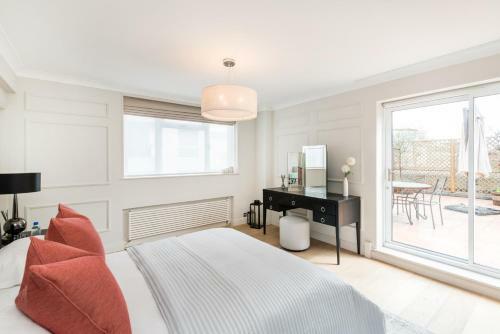 With nearly all our apartments having direct views over Hyde Park, 35 Hyde Park Gate is set in the Kensington and Chelsea district of London, 300 metres from Royal Albert Hall and 1.1 km from The Serpentine. Free WiFi is provided. 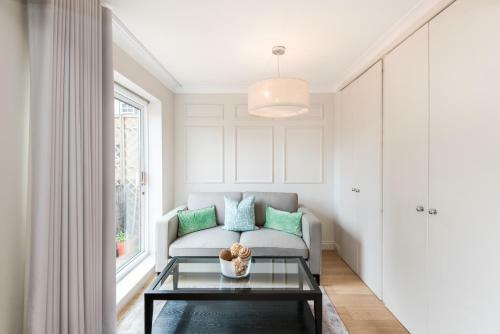 Each unit is fitted with with a terrace or outside space, a flat-screen TV with satellite channels, a well-fitted kitchen and a private bathroom with Molton Brown toiletries. 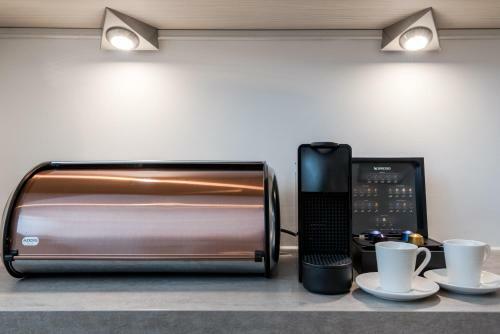 A dishwasher, an oven and microwave are also available, as well as a Nespresso coffee machine ...and a kettle. A full range of breakfast from Full English, Continental, Italian or a buffet including cheeses, meats, yogurts, cereals, fruit and coffee is offered in the Baglioni Hotel, a 4-minute walk from the aparthotel. Hyde Park is 1.2 km from 35 Hyde Park Gate, while Harrods is a 15-minute walk away. The nearest airport is London City Airport, 16 km from the accommodation. 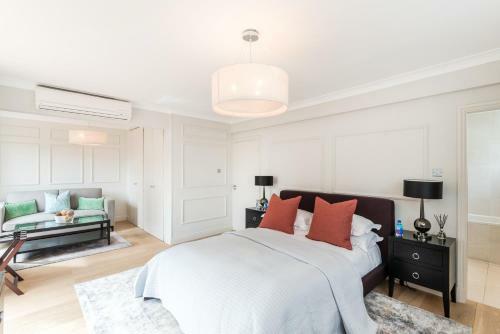 With nearly all our apartments having direct views over Hyde Park, 35 Hyde Park Gate is set in the Kensington and Chelsea district of London, 300 metr...es from Royal Albert Hall and 1.1 km from The Serpentine. Free WiFi is provided. 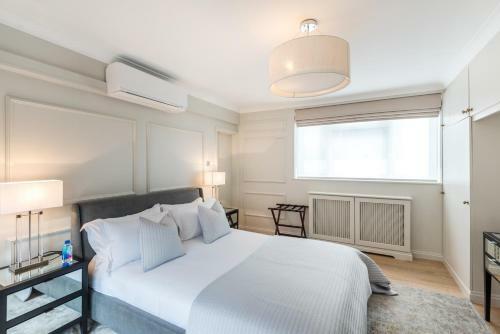 Each unit is fitted with with a terrace or outside space, a flat-screen TV with satellite channels, a well-fitted kitchen and a private bathroom with Molton Brown toiletries. 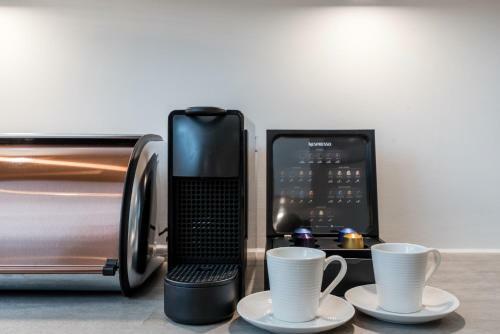 A dishwasher, an oven and microwave are also available, as well as a Nespresso coffee machine and a kettle. A full range of breakfast from Full English, Continental, Italian or a buffet including cheeses, meats, yogurts, cereals, fruit and coffee is offered in the Baglioni Hotel, a 4-minute walk from the aparthotel. 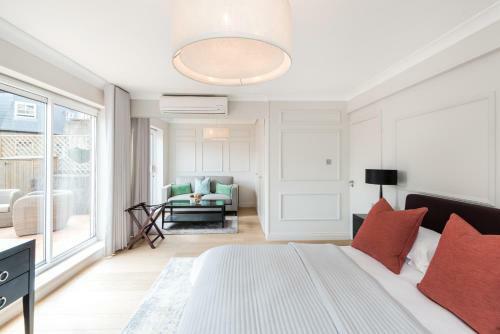 Hyde Park is 1.2 km from 35 Hyde Park Gate, while Harrods is a 15-minute walk away. The nearest airport is London City Airport, 16 km from the accommodation. 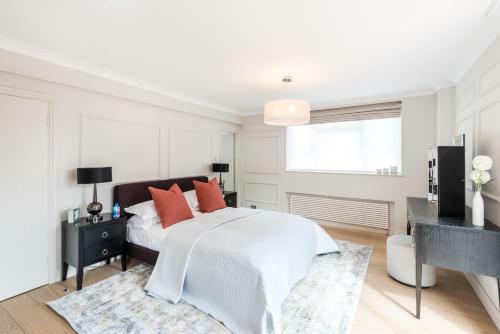 When would you like to stay at 35 Hyde Park Gate By B&L? A damage deposit of GBP 1000 is required on arrival. This will be collected by credit card. You should be reimbursed within 7 days of check-out. Your deposit will be refunded in full via credit card, subject to an inspection of the property.